Download my gift box or gift bag template to make cute goody-bags like this one. They're the perfect size for holding small gifts like candies, soaps or bath-salts. 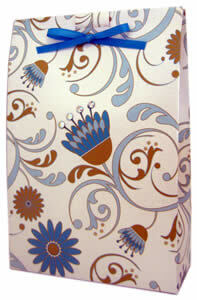 Make a gift bag or box using your own craft paper and card stock. Print one of these templates onto the blank side. 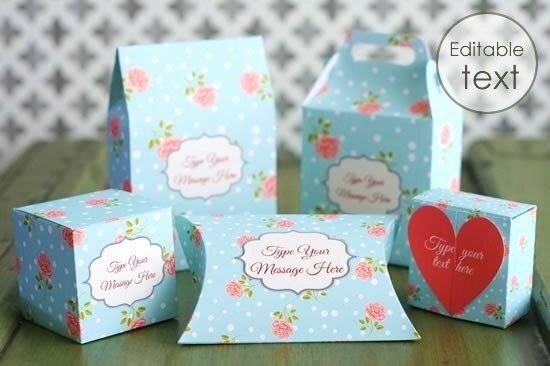 Gorgeous printable boxes and bags, all you need is a home printer! Personalize the labels with your own message. 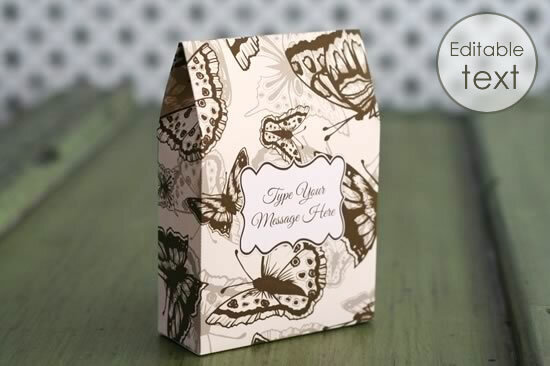 Use different patterned paper to make gift bags suitable for any occasions. Here are a couple that my mom and I made. I think my favorite is the swirly flower pattern on the right - so pretty! Some nice paper/card to print onto. I recommend scrap-booking paper, because it comes in great colors and patterns. But you could also use wrapping paper cut down to US-letter or A4 size. Download this free printable gift bag template (pdf format). 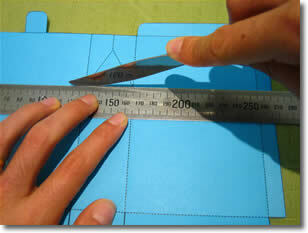 Print the template onto a piece of patterned paper. If your paper has a patterned side and a blank side, then make sure you print onto the blanks side! 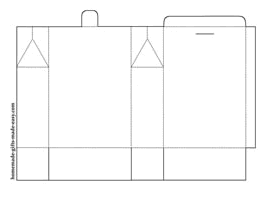 The blank side will be the inside of the bag, so all the printed lines will be hidden. Cut along all the solid lines. Then, score along the dotted lines with a butter knife and a ruler. 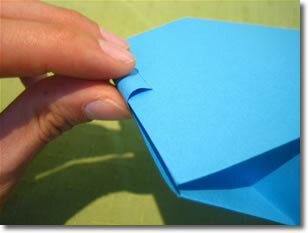 This helps the paper fold along the dotted lines more easily. Fold up the template into a tube like this. 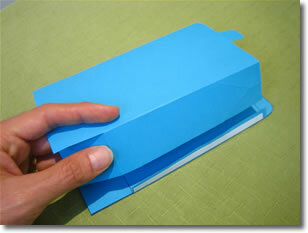 Put glue or double sided tape on the side-tab to hold it together. Now fold in all the tabs on the base of the bag. 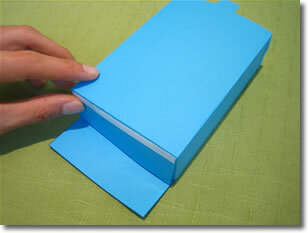 Use glue or double sided tape to hold the last tab in place. Congratulations on finishing your gift bag! Now you can fill it with candy or a gift! I've found that this bag is a perfect size to fit a small bag of homemade bath salts . How did your bag turn out? I hope you found my gift bag template & instructions clear. If you have any comments or suggestions or just want to say hi, please contact me with this handy form . Check out our easy peasy printable gift bags . No special craft paper required. Click here to print and make your gift bags.